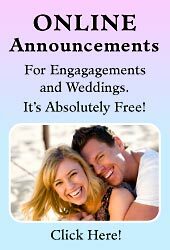 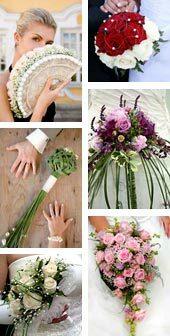 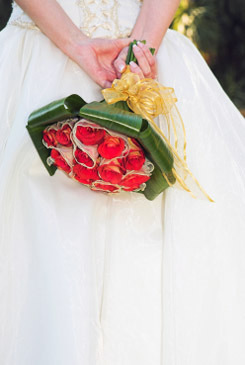 Whether your wedding is formal or casual, these gorgeous bridal bouquet ideas highlight the effect of red wedding bouquets. 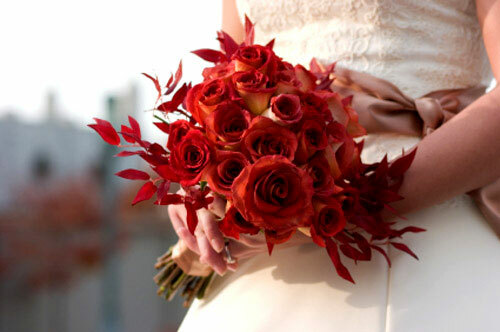 Blood red roses contrast so marvelously against the backdrop of a beautiful white wedding gown, yet can blend in and compliment virtually any colour scheme. 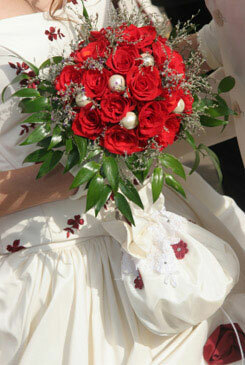 The red rose bridal bouquet is always in fashion, always in season, always a classic. 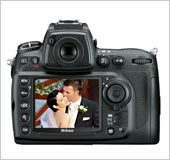 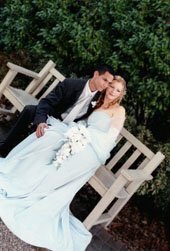 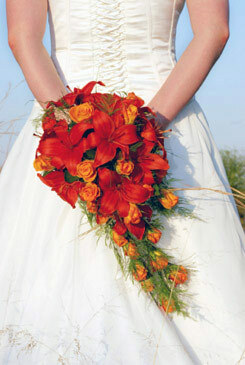 No wonder, bouquet red wedding photos are the most popular of bridal bouquet pictures. 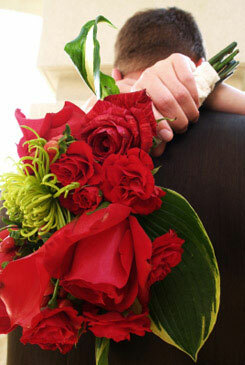 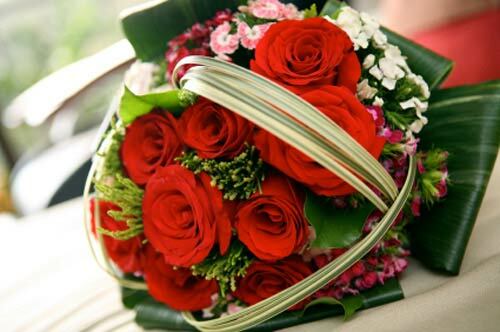 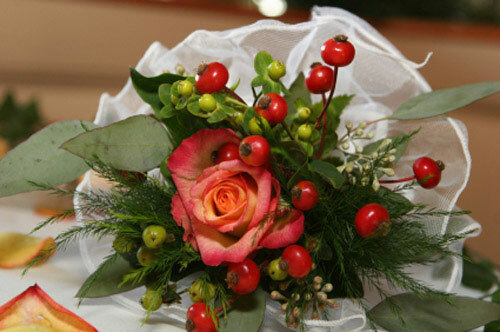 Red flowers come in different shades; vibrant red, burnt orange-red, crimson, deeper red-cherry and a rich burgundy. 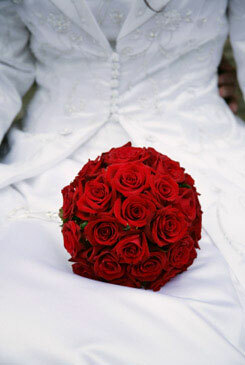 Red signify passion, sexuality, courage, love, energy and desire. 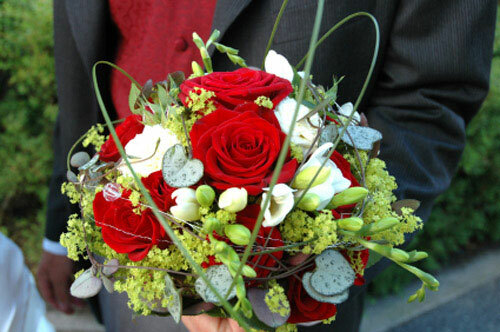 Red is intense, a little dangerous and always powerful.